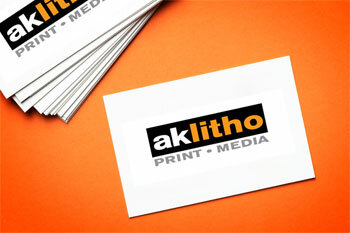 Full color 3.5 x 2″ business cards on high-quality, cover stock. Choose the paper color and coating you like best from the list below at no additional cost. For larger quantities or other options get a custom quote. Spend some time. Invest the time up front to develop your idea so that your business cards represent you and your tastes clearly. Include the basics. Logo, name, title, phone number, email address, website. Keep out clutter. Don’t list multiple phone numbers or addresses if they aren’t needed. Be social. Add a social media profile, but choose the one that best represents your professional skills. Make it colorful. 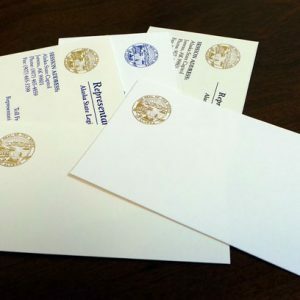 Our full-color digital cards let you express yourself without added costs, there’s no need to stick to one-color printing for business cards. Send us your project details and we'll get you a custom quote. Or call our customer service team at 907-586-3170 Monday-Friday, 8am-5pm.